I hope you all are having a wonderful Thanksgiving. I ate way too much today, but I just couldn’t help it was all so tasty! 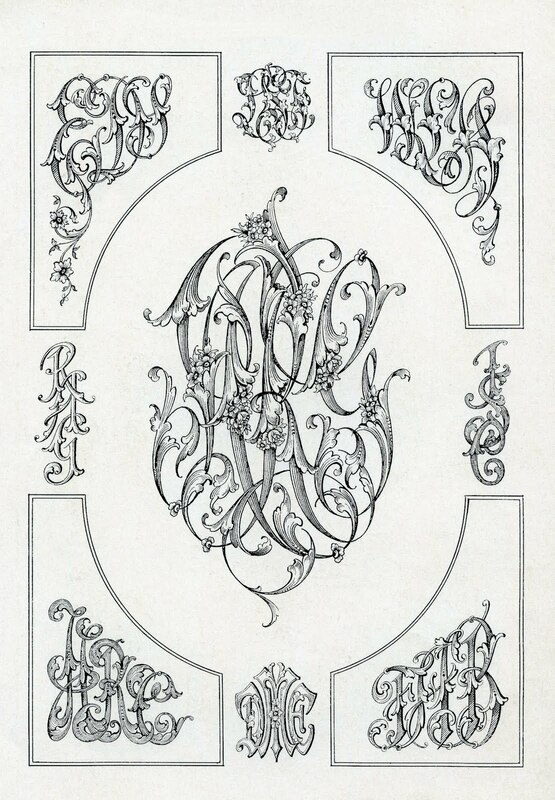 Anyway, several weeks ago I picked up this gorgeous antique monogram book! 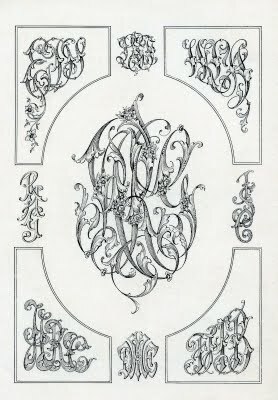 This is a page from that book and it features some fantastic ornate monograms. I think this would make a beautiful background for any collage. My friend Cathe Holden from Just Something I Made, is now selling customized vintage monogram sets on her site. You can find her online shop HERE. What a fantastic unique gift this would make for someone you love. Skip those lines at Walmart tomorrow and head right over to her shop instead, you won’t be disappointed! 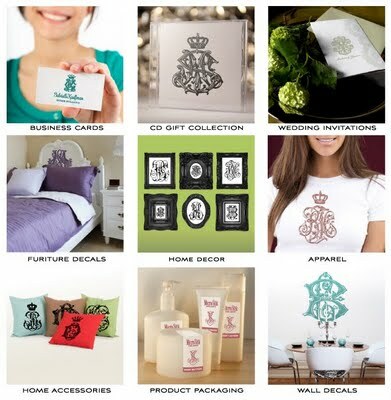 This is a little photo collage Cathe put together to give you some ideas on how to use her lovely Monograms, and she has lots more ideas on her site. I hope you will stop by and check it out! This is so swoopy and gorgeous, Karen–love it! I’m in a turkey stupor right now–haven’t eaten this much in…well, probably a year! Karen, I am loving this one. It can be used in so many ways! I did not stop to thank you for the last two images. This book and the pretty things Cathe Holden has created with initials is inspirational! Many thanks. Hope you had a very nice Thanksgiving! I’m thankful you are a giving fairy! I love you site! I tried to check out your friend’s site, but it said that the blog was only open to invited readers. I noticed that too. Oh well….